Steeped in folklore and centuries of use in the healing arts, the castor plant provides both a beneficial oil and a deadly poison within its seeds. Castor oil may be beneficial in the treatment of dry skin. This oil is typically sold in health food stores. See your doctor to rule out an underlying disorder before using castor oil to treat a skin condition. As a skin treatment, castor oil enjoys a long and intriguing history. The website, Botanical.com, traces the use of castor oil as an unguent, or a soothing salve, to ancient Egypt. First century physician Dioscorides recorded the value of castor oil for external use. Somewhere along the line, castor oil picked up the name, Palma Christi, which means, palm of Christ, lending the oil an extraordinary status for its purported healing properties. Castor oil contains up to 55 percent fatty oils, according to "The PDR for Herbal Medicines," which may account for its some of it skin soothing, emollient properties. 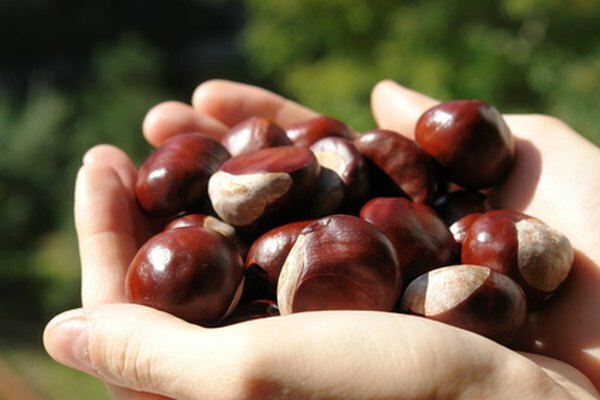 Other constituents are lectins, proteic substances, pyrridin alkaloids and tocopherol, or vitamin E. Castor oil is also a humectant, reports the Natural Beauty Workshop website, battling dry skin condition by drawing in moisture and holding it next to the skin's surface. Castor oil has a high viscosity level, making it thick and sticky. It may be difficult to spread castor oil on the skin in its raw state. Because of this, castor oil may benefit from the addition of other oils with low viscosity levels, such as almond oil or jojoba oil. Castor oil is available in health food stores and online, in over-the-counter skin creams and lotions, or you may prepare your own homemade skin care products and include castor oil as an ingredient. The Natural Beauty Workshop recommends using castor oil sparingly when adding it to creams and lotions to avoid leaving a greasy feeling on your skin. Although unusual, skin irritation may develop with the use of castor oil, according to Drugs.com. In rare cases, side effects may include an allergic reaction to the oil, resulting in a severe skin rash, according to the Gale encyclopedia.